Image Resizer is a handy freeware that resizes images and converts them between different formats. With Image Resizer you'll be able to send photos via email, move them from one folder to another or free space on your hard drive. The utility will convert any image (bmp, jpeg, gif, png) into any formats (from 320x200 to 1600x1200 and even Ipod photo and video, Sony PSPS, HDTV and DVD). The reduced file size of images enables faster loading, better management of the pictures and saves space. You will be able to send your images with a smaller size (weighing less) by email, something that was hardly possible with the original files. Depending on your needs, you can choose the resolution and the quality of the images you want to compress. 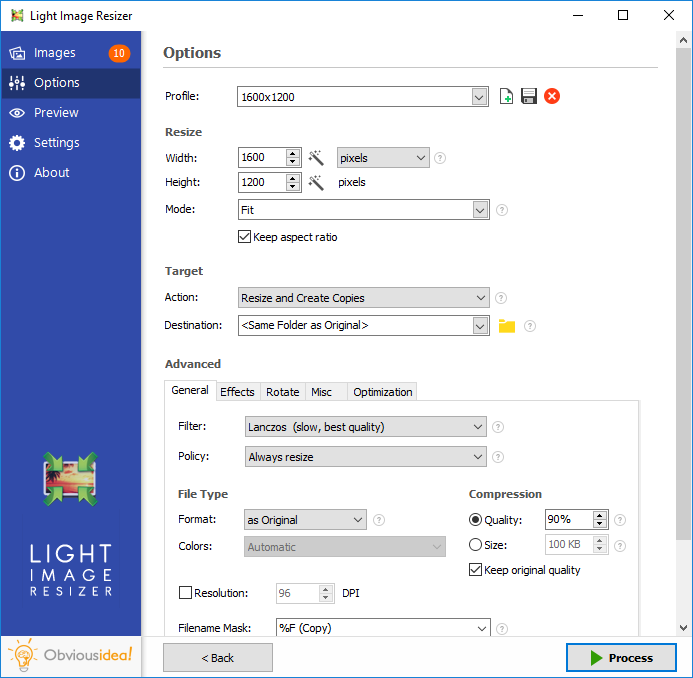 Whether you want to send, move, shrink or enlarge a single picture or a whole batch, Image Resizer will do the job in one click. Image Resizer is a freeware edited by award winning CD and DVD burning software developer VSO Software. Version 3 includes a Smart digital frame transfer assistant, to optimize the digital photo frame experience. Soft4Boost Burning Studio 5.5.9.245: Burn various data onto DVD/CD/Blu-Ray discs with Soft4Boost Burning Studio. Abex PDF to Word Converter 3.9: Batch Convert PDF to MS Word DOC, DOCX, DOCM, RTF formats. Smart PDF Creator 14.4: You can batch convert all your printable documents to PDF format fast and easy. Smart PDF Converter 15.4: Converts PDFs to easily editable files, including Word, Excel, Html and more.